This wonderful CD series features some of the world's favourite hymns, performed by some of the world's best choirs. Each album in this collection features 2 CDs of 30 classic hymns plus a 12-page songbook with lyrics. 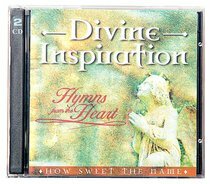 About "Divine Inspiration #01: How Sweet the Name (2 Cds)"